Rate this project Lubuntu 12.10, a new version of the lightweight Ubuntu variant featuring the LXDE desktop environment, is out: "Lubuntu 12.10 is now available. Features: based on the lightweight LXDE desktop environment; PCManFM, a fast and lightweight files manager; Openbox, the fast and extensible, default window manager of LXDE; LightDM, using the simple GTK+ greeter; Chromium, the open-source version of Google Chrome. Improvements since Lubuntu 12.04: update of the visual identity of Lubuntu, including a completely new icon theme, a new wallpaper and improvements to the current theme, a selection of community wallpapers, and Improved integration of many applications with the new artwork. A new version of the session manager is available, including more customizations and integration options." For more information please see the release announcement and the release notes. Download (SHA256): lubuntu-12.10-desktop-i386.iso (692MB, torrent), lubuntu-12.10-desktop-amd64.iso (699MB, torrent). The Lubuntu team has published a new version of their distribution. Lubuntu 19.04 provides nine months of support and ships with version 0.14.1 of the LXQt desktop environment. Unlike most other community flavours of Ubuntu which use the Ubiquity installer, Lubuntu uses the Calamares system installer. "This is the second Lubuntu release with LXQt as the main desktop environment. The Lubuntu project, in 18.10 and successive releases, will no longer support the LXDE desktop environment or tools in the Ubuntu archive, and will instead focus on the LXQt desktop environment. You can find the following major applications and toolkits installed by default in this release: LXQt 0.14.1; Qt 5.12.2; Mozilla Firefox 66, which will receive updates from the Ubuntu Security Team throughout the support cycle of the release; the LibreOffice 6.2.2 suite, with the Qt 5 frontend; VLC 3.0.6, for viewing media and listening to music; Featherpad 0.9.3, for notes and code editing; Discover Software Center 5.15.4, for an easy, graphical way to install and update software; the powerful and fast email client Trojitá 0.7 to get you to inbox zero in no time." Further details can be found in the project's release announcement. Download: lubuntu-19.04-desktop-amd64.iso (1,580MB, SHA256, signature, torrent, pkglist). We conclude the Ubuntu release day with Lubuntu, a popular Ubuntu variant which, until recently, featured the lightweight LXDE desktop. Starting with version 18.10, the distribution has finally completed its intended switch to LXQt: "Thanks to all the hard work from our contributors, Lubuntu 18.10 has been released. This is the first Lubuntu release with LXQt as the main desktop environment. The Lubuntu project, in 18.10 and successive releases, will no longer support the LXDE desktop environment or tools in the Ubuntu archive and will instead focus on the LXQt desktop environment. You can find the following major applications and toolkits installed by default in this release: LXQt 0.13.0, with many bugfixes and improvements backported from upstream; Qt 5.11.1, which is the first point release in the Qt 5.11 series; Mozilla Firefox 62, which will receive updates from the Ubuntu security team throughout the support cycle of the release; the LibreOffice 6.1.2 suite with the Qt 5 frontend; VLC 3.0.4 for viewing media and listening to music; Featherpad 0.9.0 for notes and code editing....." Read the detailed release announcement which contains a long list of interesting changes. Download (SHA256, signature, pkglist): lubuntu-18.10-desktop-amd64.iso (1.616MB, torrent), lubuntu-18.10-desktop-i386.iso (1,632MB, torrent). Simon Quigley has announced the release of Lubuntu 18.04, a desktop distribution featuring the Lightweight X11 Desktop Environment (LXDE). The release of the "Lubuntu Next" variant, with the Qt-based LXQt desktop instead of LXDE, was once again postponed. "Thanks to all the hard work from our contributors, Lubuntu 18.04 LTS has been released. With the code name of 'Bionic Beaver', Lubuntu 18.04 LTS is the 14th release of Lubuntu, with support until April 2021. New features: Ubuntu 18.04 ships with a version 4.15-based Linux kernel, enabling the latest hardware and peripherals available from IBM, Intel and others; OpenJDK 10 is the default JRE/JDK, once OpenJDK 11 reaches general availability in September 2018, it will become the default in 18.04; GCC is now set to default to compile applications as position independent executables (PIE) as well as with immediate binding, to make more effective use of Address Space Layout Randomization (ASLR)." Read the release announcement and release notes for more details. Download (SHA256, signature, pkglist): lubuntu-18.04-desktop-amd64.iso (1.031MB, torrent), lubuntu-18.04-desktop-i386.iso (1,032MB, torrent). Simon Quigley has announced the release of Lubuntu 17.10, a desktop distribution built from Ubuntu packages, but featuring the Lightweight X11 Desktop Environment (LXDE) which is suitable for older computers: "Thanks to all the hard work from our contributors, Lubuntu 17.10 has been released. With the code name 'Artful Aardvark', Lubuntu 17.10 is the 13th release of Lubuntu, with support until July of 2018. What has improved since 17.04? 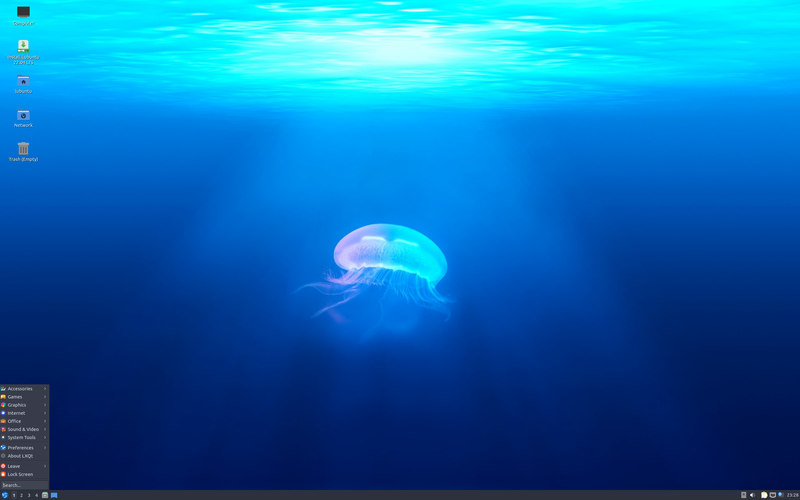 We now ship with Linux kernel 4.13; general bug-fix release as we prepare to switch to LXQt; LXDE components have been updated with bug fixes; the artwork has received an update; the latest release of Audacious, version 3.9, is included by default; Hardinfo has been updated to the latest upstream snapshot." 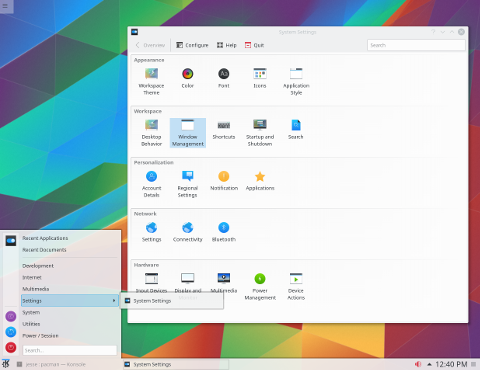 Also available is the Lubuntu "Next" variant, an experimental build of Lubuntu with the LXQt desktop: "Alongside Lubuntu 17.10 featuring LXDE, the Lubuntu team is proud to announce an early adopter's release of Lubuntu Next, featuring the LXQt 0.11.1 desktop environment which is the Qt 5 port of LXDE." Read the release announcement and release notes for more details. Download (SHA256, signature, pkglist): lubuntu-17.10-desktop-amd64.iso (921MB, torrent), lubuntu-17.10-desktop-i386.iso (929MB, torrent). Simon Quigley has announced the availability of the initial alpha builds of "Artful Aardvark", the upcoming release of Ubuntu and its big family of Linux distributions scheduled for October 2017. Only three of Ubuntu's sub-projects are taking part in this early alpha testing; they are Kubuntu, Lubuntu and Ubuntu Kylin: "The first alpha of the Artful Aardvark (to become 17.10) has now been released." The Lubuntu project which has been trying to switch from its standard LXDE desktop to the LXQt environment, has finally released the first experimental testing images featuring the Qt-based desktop. Called "Lubuntu Next", these images are available for testing alongside the traditional Lubuntu (with LXDE): "Also in this milestone is Lubuntu Next, an experimental flavor of Ubuntu based on LXQt and focused on providing a modern, lightweight, Qt-based distribution." Here is the brief release announcement as published on one of Ubuntu's announcement mailing lists. Interested testers can download the alpha images from here: kubuntu/artful-desktop-amd64.iso (1,787MB, SHA256, torrent, pkglist), lubuntu/artful-desktop-amd64.iso (Lubuntu LXDE, 1,051MB, SHA256, torrent, pkglist), lubuntu-next/artful-desktop-amd64.iso (Lubuntu LXQt, 1,384MB, SHA256, torrent, pkglist), ubuntu-kylin/artful-desktop-amd64.iso (1,384MB, SHA256, torrent, pkglist). Simon Quigley has announced the release of Lubuntu 17.04, a new version of the project's official Ubuntu variant featuring the Lightweight X11 Desktop Environment (LXDE) and designed specifically for older machines and low-resource computers: "Thanks to all the hard work by our contributors, Lubuntu 17.04 has been released. Code-named 'Zesty Zapus', Lubuntu 17.04 is the 12th release of Lubuntu, with support until January of 2018. What’s improved since 16.10? We now ship with Linux kernel 4.10; general bug-fix release as we prepare to switch to LXQt; LXDE components have been updated with bug fixes; the artwork has received an update. Lubuntu is a good operating system for many old computers, but not for all of them. A rule of thumb is that the computer should not be more than 10 years old. For advanced internet services like Google+ and YouTube, your computer needs at least 1 GB of RAM. For local programs and simple browsing habits, your computer needs at least 512 MB of RAM." Here is the full release announcement, with additional details provided in the release notes. Download (SHA256, signature, pkglist): lubuntu-17.04-desktop-amd64.iso (912MB, torrent), lubuntu-17.04-desktop-i386.iso (916MB, torrent). Simon Quigley has announced the second alpha release of Ubuntu's community editions. The new alpha, 17.04 Alpha 2, is an early development snapshot of the community editions and Quigley warns it should not be installed on systems where stability is required: "The second alpha of the Zesty Zapus (to become 17.04) has now been released. This milestone features images for Lubuntu, Kubuntu, Ubuntu MATE, Ubuntu Kylin, Ubuntu GNOME and Ubuntu Budgie. Alpha 2 includes a number of software updates that are ready for wider testing. This is still an early set of images, so you should expect some bugs." Further information can be found in the project's release announcement. Download: kubuntu-zesty-desktop-amd64.iso (1,651MB, SHA256, signature, torrent, pkglist), lubuntu-zesty-desktop-amd64.iso (676MB, SHA256, signature, torrent, pkglist), ubuntukylin-zesty-desktop-amd64.iso (1,545MB, SHA256, signature, torrent, pkglist), ubuntu-mate-zesty-desktop-amd64.iso (1,604MB, SHA256, signature, torrent, pkglist), ubuntu-gnome-zesty-desktop-amd64.iso (1,422MB, SHA256, signature, torrent, pkglist), ubuntu-budgie-zesty-desktop-amd64.iso (1,609MB, SHA256, signature, torrent, pkglist). Lubuntu 16.10 has been released. Lubuntu is a variant of Ubuntu with the lightweight LXDE as the preferred desktop. From the release announcement: "Thanks to all the hard work from our contributors, Lubuntu 16.10 has been released. With the code name Yakkety Yak, Lubuntu 16.10 is the 11th release of Lubuntu, with support until July 2017. We even have Lenny, the Lubuntu mascot, dressed up for the occasion. Lubuntu is an official Ubuntu flavor based on the Lightweight X11 Desktop Environment (LXDE) specifically targeting older machines with lower resources, but it also runs great on newer hardware. What's improved since 16.04? We now ship with Linux kernel 4.8; general bug fix release as we prepare to switch to LXQt; LXDE components have been updated with bug fixes; the artwork has received an update. Unfortunately, we could not get LXQt ready in time for 16.10, so Lubuntu 16.10 ships with LXDE." See also the release notes for further details. Download: lubuntu-16.10-desktop-amd64.iso (898MB, SHA256, signature, torrent, pkglist). Simon Quigley has announced the availability of a new alpha snapshot for participating Ubuntu community editions. The new alpha, 16.10 Alpha 2, is intended for testing purposes only and is not recommended for general use. "The second alpha of the Yakkety Yak (to become 16.10) has now been released! This milestone features images for Lubuntu, Ubuntu MATE and Ubuntu Kylin. Pre-releases of the Yakkety Yak are not encouraged for anyone needing a stable system or anyone who is not comfortable running into occasional, even frequent breakage. They are, however, recommended for Ubuntu flavor developers and those who want to help in testing, reporting and fixing bugs as we work towards getting this release ready. Alpha 2 includes a number of software updates that are ready for wider testing. This is still an early set of images, so you should expect some bugs." The release announcement has further details. Download: lubuntu/yakkety-desktop-amd64.iso (890MB, SHA256, signature, torrent, pkglist), ubuntu-mate/yakkety-desktop-amd64.iso (1,617MB, SHA256, signature, torrent, pkglist, ubuntukylin/yakkety-desktop-amd64.iso (1,504MB, SHA256, signature, torrent, pkglist).